Remanufacturing | Raphael Industries, Inc.
FACTOID: Through remanufacturing we can drive savings up to 75% directly to your bottom line, and shrink your lead times as much as 90%. Remanufacturing is real money to your bottom line. 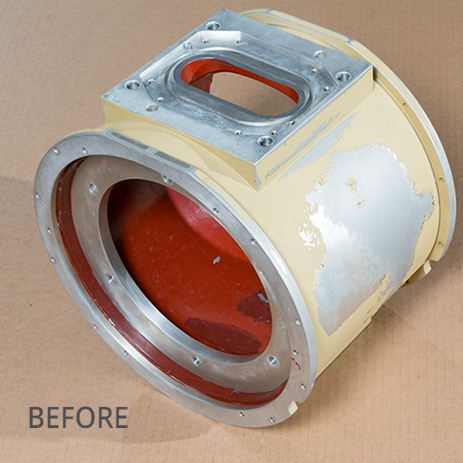 Why wait 16+ weeks for a new part, when a top quality refurbished part is just 1-2 weeks away? Our customers enjoy as much as a $10 return on every $1 invested in Raphael. Raphael is your trusted partner for medical or industrial part refurbishment. We customize our refurbishment processes to meet your exact needs, then establish complete, repeatable and reliable processes to ensure consistent, top quality results. We’re your supply chain “insurance,” so you don’t have to deal with quality issues, lack of inventory, or line down production issues. We’re committed to compliance and we ship same-day and internationally. We’re always here when you need us. Our people are passionate, efficient, knowledgeable, on time, and ready to help every step of the way. Our team of engineers is always looking for ways to perform better, faster, and smarter—without sacrificing results or efficiency. We are dedicated to growth, for both our company and our partners. Problem solving is our passion. 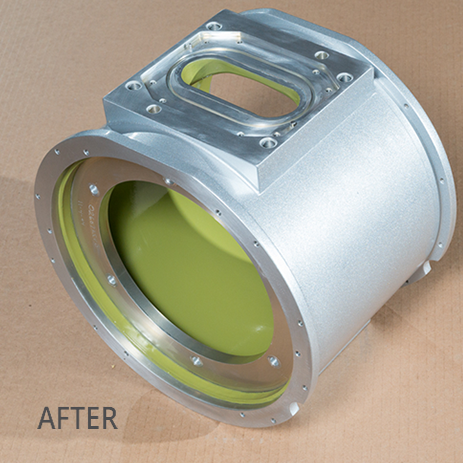 We take on low to medium volume, high-tech precision projects so our team can focus on your product, inside and out, to ensure your components are refurbished, remanufactured, repainted , recycled, and reported to your exact specifications. Whether you’re working on new technology or concerned over a competitor, our team is tightlipped and discrete. We maintain dedicated work cells, teams, and equipment to support customer confidentiality. Determining the source of premature equipment failure is key to the success of your product. We provide complete and organized reporting on manufacture dates, serial numbers, product IDs, field engineer notes, and more. Our partners use this data to pinpoint weaknesses and ensure equipment functions at peak performance for as long as possible. Our inventory numbers are maintained in real time, so there’s never any mystery as to quantities on hand. Our green initiatives have been in place for decades—it’s the nature of our business. Less (Fewer?) new parts means less manufacturing waste. For example, we keep components from over 11,000 x-ray tubes out of landfills every year! Plus, we regularly recycle a large portion of all tear-down materials. Despite our handling of lead and other hazardous chemicals, we are designated by the Environmental Protection Agency (EPA) as an Extremely Small Quantity Generator of Hazardous Waste, which ensures safe disposal and documentation of hazardous materials. We work to continuously reduce our carbon footprint, reduce landfill waste, reduce energy use, and increase sustainability. Protecting our people while ensuring product compliance is top priority, so we always invest in quality machinery and protective gear. 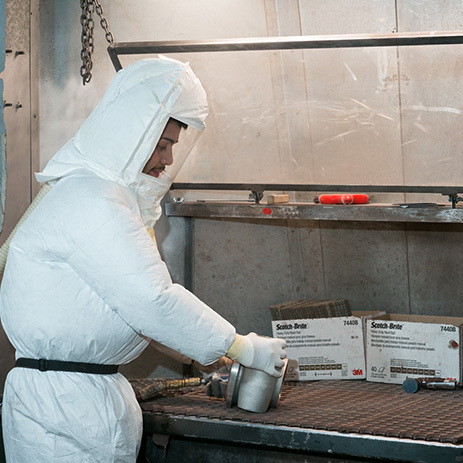 We are thoroughly equipped to regularly handle components containing lead, beryllium and other hazardous metals, solvents, coatings, and chemicals. We take Occupational Safety and Health Administration (OSHA) regulations seriously to ensure our hard working team stays happy and healthy.